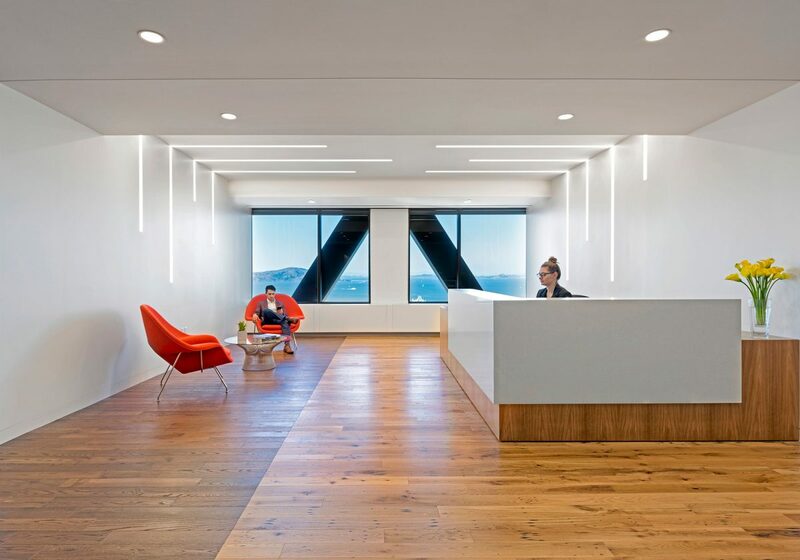 A global view from elegant views of San Francisco. 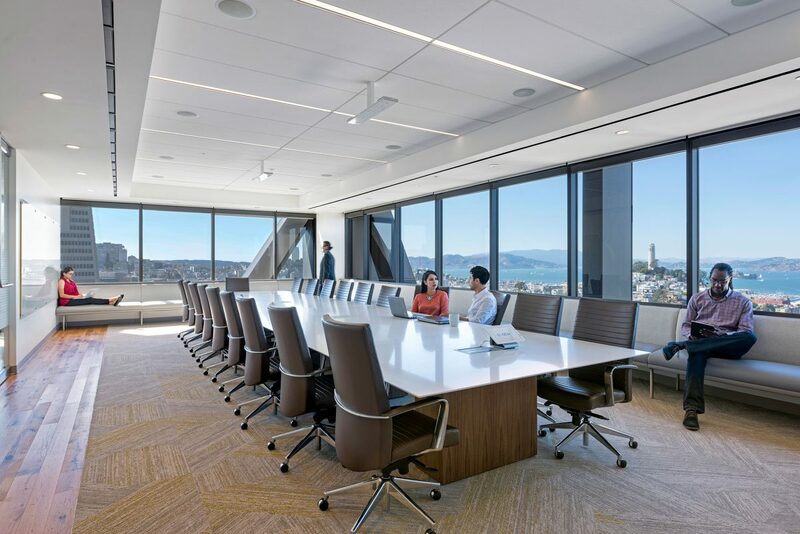 A premier international investment bank, GCA delivers deep expertise in many key industries with particular focus in Technology, Software, Media, Digital Media, Communications, Healthcare and Financial Institutions through their offices in San Francisco, New York, Tokyo, Frankfurt, London, Manchester, Milan, Mumbai, Munich, Osaka, Shanghai, Singapore, Tel Aviv and Zurich. 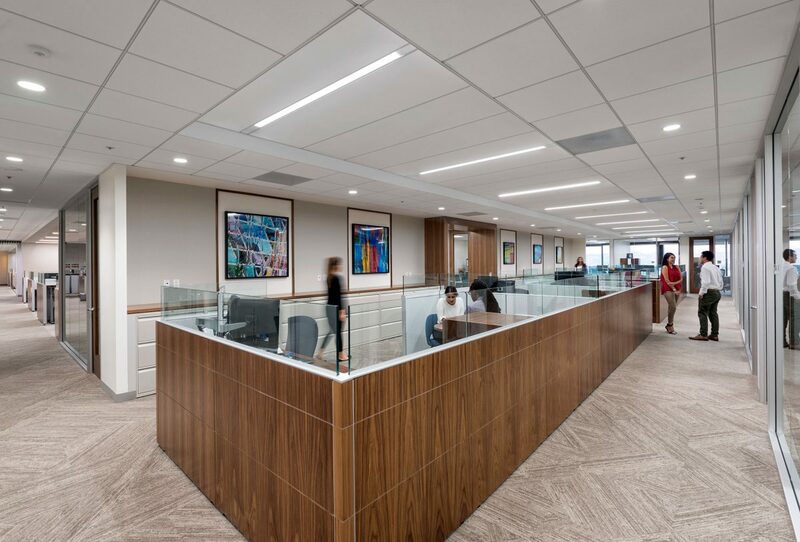 With the goal of consolidating to one floor and increasing office and conference center capacity, GCA relocated from 150 California St. to the previous Del Monte executive headquarters at One Maritime Plaza. 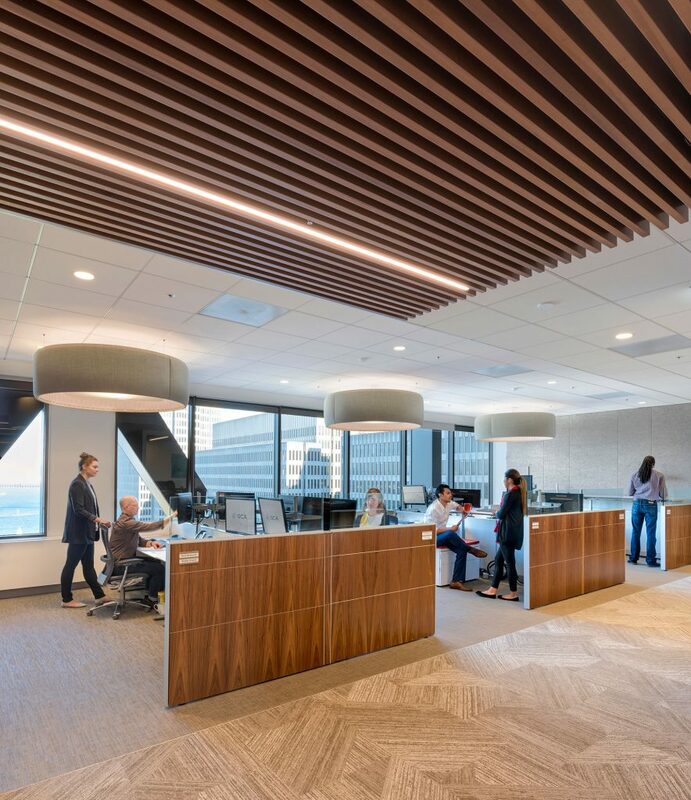 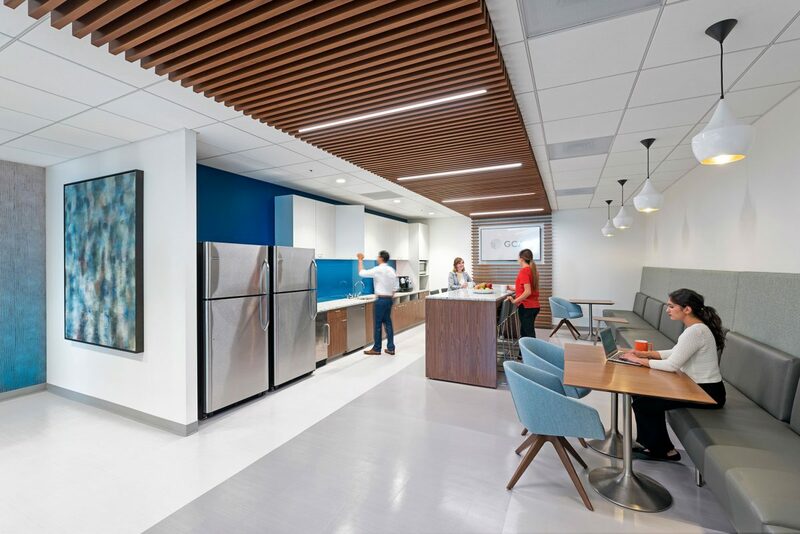 The new 18,338 sf office enabled RMW to design a purposely understated workplace that reflected the company’s global focus and supported a strong balance of open, collaborative, and private spaces while facilitating unobstructed views of the Bay and San Francisco landmarks. 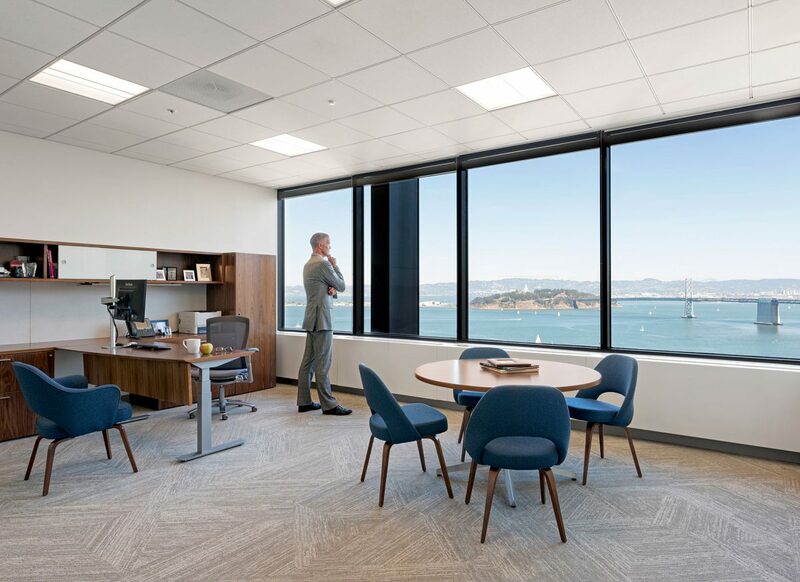 Golden Gate, Coit Tower, and Embarcadero meeting rooms were named to echo the views from each space. 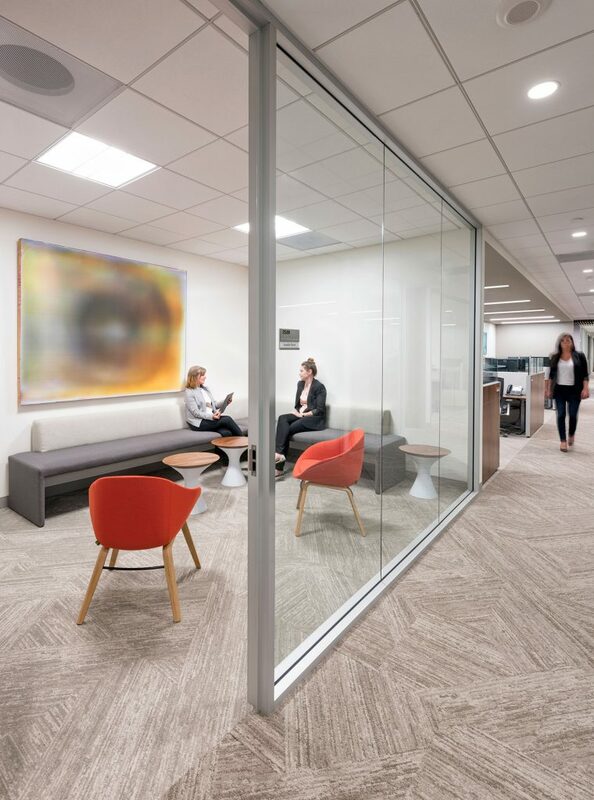 Demolition challenges included removal of 5” thick stone floors to create a seamless variation of white and leather mission oak reclaimed wood, carpet tile and vinyl flooring.